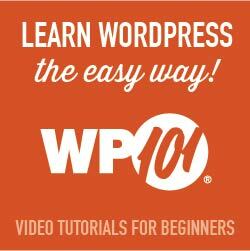 This tutorial is for WordPress templates designed by Albemarle PR. Step 1: On the WordPress Dashboard, go to Appearance. Step 3: Select the menu that you would like to edit. When your template is installed, Albemarle PR typically uses Primary or Secondary as the menu title. Step 4: On the left column, you will see the option to select existing pages, posts, or categories. You can also create a custom link. Click Add to Menu to add your link to the menu. When you are done editing the menu, click Save Menu. After you have added a link using the options of the left column, a box will appear with your link title. If you need to change the title, you can click the arrow that appears next to the title. The Navigation Label is the text that will appear on your menu. After you change the label, click Save Menu. Select the link you would like to move by clicking the corresponding box. As you drag the box up or down, you’ll see a box appear with a dashed line. Click Save Menu. Drop-down links are used when you need to expand your menu. Select the corresponding box for the menu link that will become the drop-down link. When you click and drag the box, you’ll see a box with a dashed line. Move the box to the right until you see the text sub item appear next to the title. Click Save Menu. Tip! To make an unclickable menu link, create a custom link. Type http://# for the URL. Click the corresponding box for the link that you would like to remove. Click the arrow by the title and then Remove link. Click Save Menu.